Qualifying households, upon submission and approval of an application (and completion of financial education requirements), are eligible to open a joint savings account with Interfaith Housing & Community Services. The money deposited into this account from a participant’s earned income is matched 2:1 by Interfaith Housing & Community Services for the purchase of their goal asset. Qualifying households must have earned income that falls below 200 percent of the federal poverty level and have a net worth (market value of all assets owned, minus debt) of less than $10,000. The home you live in and one vehicle are excluded from asset determination. Participants must save a minimum of $20 per month for a minimum of six months. They can save more if it fits within their budget, and they can take up to four years to reach their savings goal. Extra deposits from income tax refunds are strongly encouraged. What are the income guidelines to qualify for the IDA Program? CASH IDA participants must have earned income from a permanent job and a total household income that falls below 200 percent of the federal poverty level. NOTE: The federal poverty level is adjusted annually; therefore, eligibility guidelines are adjusted on an annual basis. What is the maximum amount of savings that is matched by the IDA Program? Participants can save up to $3,000, which Interfaith Housing & Community Services will match with $6,000, for a total of $9,000. For first-time homebuyers, a couple can both save $2,000. Interfaith would match each’s savings of $2,000 with $4,000, which would make their total $12,000. What happens if I decide to withdraw from the program? We are always disappointed when participants withdraw; however, we do understand that situations arise making it difficult to continue. If you are unable to continue in the program, you receive all the funds deposited into your savings account. It is always your money. Just as situations arise that prevent you from participating in the program, those situations also change. You are eligible to try again and re-enter the program 12 months after withdrawing. You must complete the financial education class again and open another CASH savings account. What if I miss making a deposit? If you miss deposits, we work with you to get caught up on your monthly commitment. We ask participants to contact us if they know they are going to miss a deposit that month. If you miss two deposits in in one calendar year, we will provide additional budgeting assistance to help you find money to save each month. While our goal is to see you succeed, if you miss three deposits in one calendar year, we must terminate you from the program. What if there is an emergency and I need to withdraw funds from my account? While emergency withdrawals are discouraged, we have procedures in place for making a withdrawal if it is necessary. Emergency withdrawals are available only to cover housing needs or medical expenses and the amount withdrawn must be repaid to your account within one year. How are asset purchases made? When you reach your savings goal and are ready to make your purchase, an invoice along with a signed savings withdrawal slip are submitted to Interfaith Housing & Community Services. Interfaith makes arrangements to draw one-third of the amount requested from your savings account. A check from Interfaith is prepared for the remaining two-thirds of the amount due. Both the check from your account and the Interfaith check are sent directly to the vendor from who the asset is being purchased (i.e. university, title company, etc.). In what counties are CASH savings accounts available? 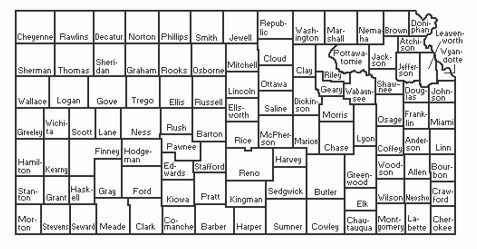 The IDA Program is available across all of Kansas. If you live anywhere in the state of Kansas, you can apply. If you would like more information about the IDA Program, please contact Interfaith Housing & Community Services today.